The Grim Reaper is a busy guy. But then again, so are you! He can’t make it to every party this year, and you can’t spend all your time trying to come up with a guest list that will terrify all who attend. Sounds like you both could benefit from this Ground Reaper decoration, so that whole “brush with death” effect can be a bit more predictable for your Halloween party. Add a dramatic touch of the macabre to your shindig with the haunting style of this decoration, sure to scare the pants off of any unsuspecting victim! 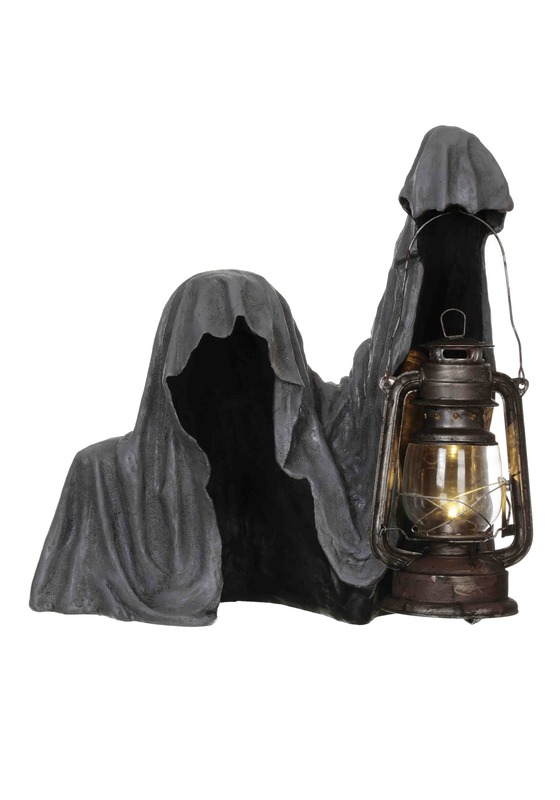 The molded fiberglass figure has a ghastly realistic look--so you won’t even miss ole’ Grim should he not show up--and it’s holding a lantern for added eerie effect. Use this yard statue to complete your haunted house this year, because a busy guy like you has better ways to spend his time than obsession over an RSVP from Death.